Condition: Fully furnished with air conditioner, water heater provided, new 32″ LED TV, microwave, refrigerator, wardrobe, spring bed, dispenser, sofa bed, kitchen set. 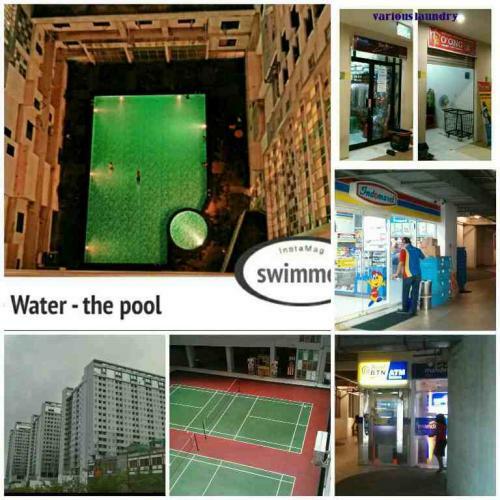 Facility: Basement parking, swimming pool, Alfamart minimarket, ATM, musholla, cafe/resto, badminton indoor and gym. Additional Info: Close to UI, YAI, BSI Campus, St. Corolus Hospital, RSCM Hospital, RS Thamrin, RSIA Evasari Hospital, Atrium Senen Mall, Gramedia Matraman, Kramat Rail Station dan TransJakarta Bus Station. It’s very suitable for employee / medical doctor / students who work/study in Salemba area and Central of Jakarta. To see show unit, should make appointment with owner (by call or SMS). Unit can be seen on Saturday / Sunday / Holiday or agreed date with owner. Preferably tenant: woman. 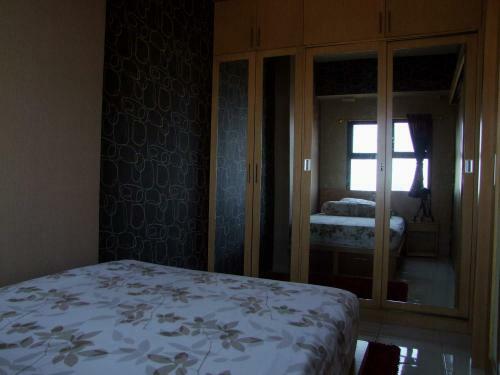 Rent Charge: Rp 4.500.000/months (6 months minimum rent period). Discount if take 1 year in advance. Rent charge excluded maintenance fee, electricity and water. Condition: Fully Furnished and Full Wallpaper. 2nd bedroom : folding springbed, folding study table, wardrobe + fan. Transportation facility: transjakarta bus station (route pulogadung – dukuh atas and route Ancol – kampung melayu – cililitan) , Manggarai Train Station and Cikini Train Station. Additional Info: Close to UI, YAI, BSI Campus, St. Corolus Hospital, RSCM Hospital, Manggarai, Pasaraya Manggarai, Grand Indonesia, Gramedia Matraman, kuningan, metropole XXI, Cikini train station, Manggarai train station dan TransJakarta Bus Station. It’s very suitable for employee / Medical Doctor / students who work/study in Salemba area, Kuningan, Sudirman and SCBD area Jakarta. 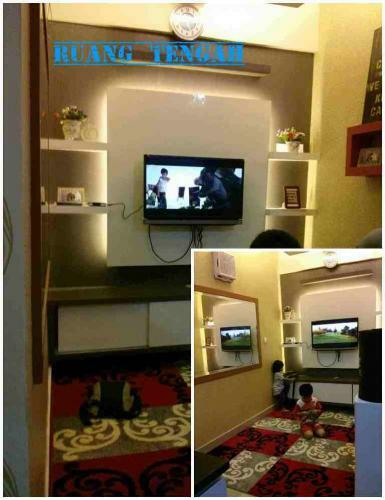 To see show unit, should make appointment with owner (by call or SMS). Unit can be seen on Saturday / Sunday / Holiday or agreed date with owner. Prefer roomer: woman. 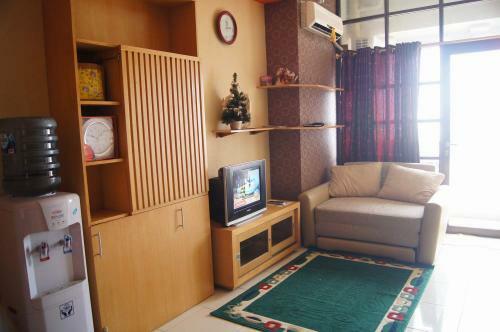 Rp 5.000.000/months (minimum 6 months rent period). More discount if take 1 year in advanced. 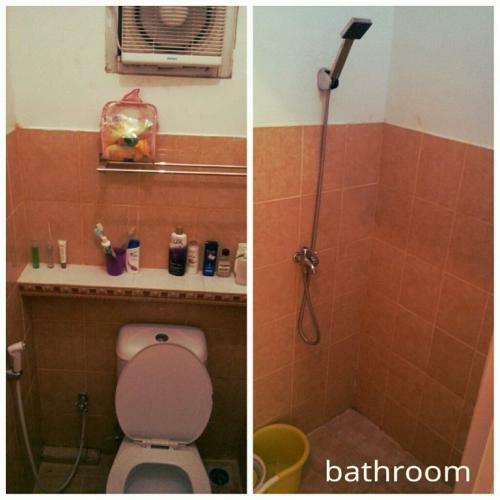 Rent charge excluded maintenance fee, electricity and water. Deposit fee Rp. 5.000.000, will be returned once contract period has ended. 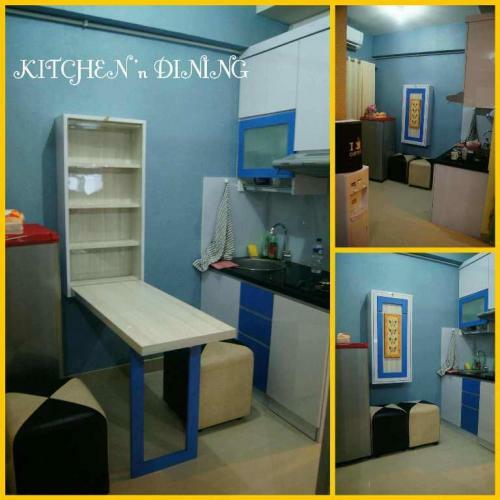 Condition: 1 AC, queen size matras, lemari pakaian, water heater, sofa, meja+2 kursi makan, kitchen set, and kulkas. 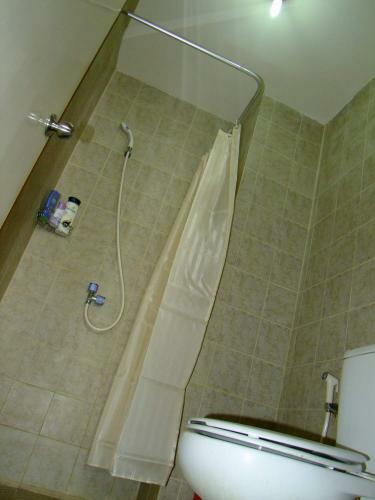 Facility: Swimming pool, gym, laundry, security access card, cafetaria, mini market. Dekat dengan: RSCM dan kampus UI salemba. Saat masuk bayar 3 bulan sewa + 1 bulan deposit dimuka. Biaya sewa tidak termasuk biaya maintenance, air, listrik, internet, dll. LED TV, cable TV, air conditioner, kitchen cabinet, gas stove, cooker hood, refrigerator,washing machine, cooking & eating utensils, water heater, service area, table for study or eating, 1 queen bed (2 single beds) and wardrobe. The apartment also provides escalators that connect the building to the Trans Jakarta bus stop. Nearby Cinema XXI Megaria and the central art of Jakarta Taman Ismail Marzuki (TIM) Cikini. Strategically located, only 9 minutes to Sudirman, 9 minutes to Rasuna (check google maps). But the environment is green & calm. 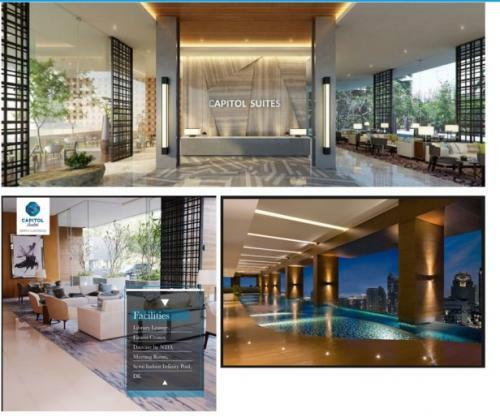 Capitol Suites – where aesthetic meets practicality – is an opulent residence designed by internationally renowned designer. Genius Loci from Singapore with exquisite and modern facade design. 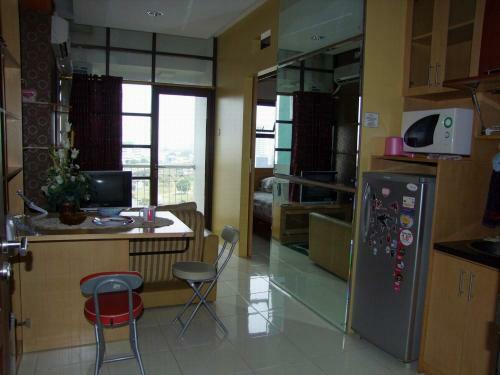 Capitol Suites is a prominent high rise apartment in Jakarta. Located in Tugu Tani (Menteng area). 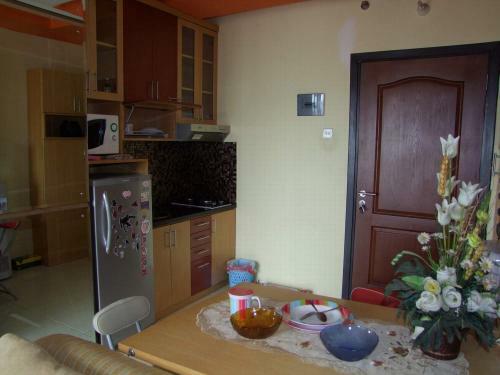 This is a 2-bedroom apartment located in a luxury apartment Central Jakarta. Beautifully decorated with Balinese villa design to give you a serene space to retreat from the busyness of Jakarta city live. The location is only <5 from Thamrin, 10 minutes away from Monas, Grand Indonesia, Menteng, Sudirman CBD and it is free from traffic. 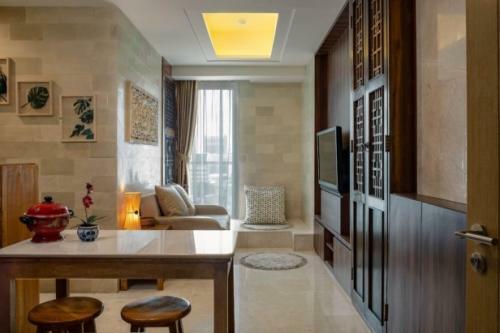 The apartment is beautifully decorated with a blend of clean minimalist decor and traditional Indonesian elements. It tries to conjure the feeling of being in a retreat in Ubud, surrounded by the greens, away from the hustle & bustle of the city. 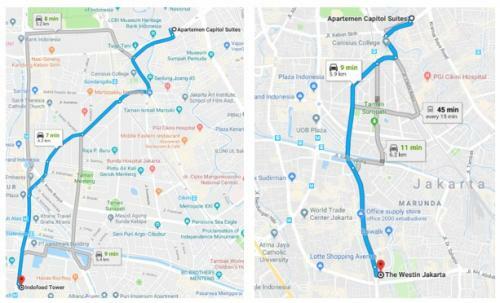 Yet, it is only a short ride away from Thamrin, Sudirman CBD, Rasuna Said. 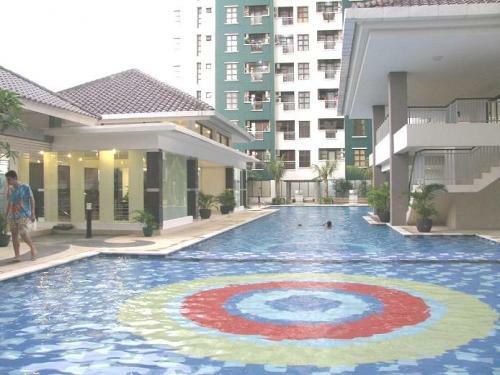 Enjoy the luxurious facility of the building, complete with library, swimming pool, and gym. Monthly payment option available for qualified candidate. Additional Info: Lokasi sangat strategis, dekat Jl. Pramuka, Manggarai, Proklamasi, Tambak, Salemba. Dekat dengan Kampus UI Salemba, Kampus YAI. Dekat RSCM dan RS Carolus. Dekat Halte Busway Matraman.